A day rapidly unfolds with the help of some colorful forces. Put together some green screen suits, a bunch of people, everyday objects, OK Go music and there it is.. the WINNER of the Saatchi & Saatchi Music Video Challenge 2013, a partnership between creative platform Talenthouse, and music video curators BUG. The music video is very playful and colorful. Good result with a minimum budget. Congrationlations Nelson De Castro with the award. 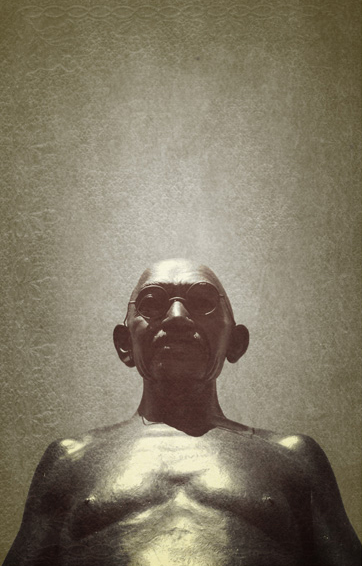 MC Yogi, Niraj Chag and Michael Rosen have mixed original audio from the speech of Gandhi and made a music video from it called ‘Be the change’. This post is a reaction to the useless violence right now in the city of Istanbul. I hope people will reflect on themselves and make a positive change. Aṣa, a Nigerian French singer-songwriter, was born in Paris. She grew up in Lagos, the south-western part of Nigeria. Her texts are about her country, life and the things in her life. Her music fuses jazz, funk, soul and reggae. Watch how Aṣa takes German reggae figure Gentleman on a personal journey through her hometown Lagos in this 50 minute documentary. In the videoclip below she sings the song BA MI DELE, meaning: follow me home in Yoruba. It is a story of a young girl wooed tirelessly by a young lawyer from out of town. She initially refuses, but soon finds herself having strong feelings for this young man. She becomes pregnant and finds out he’s not taking responsibility to claim the unborn child. She still loves him and wants him to make the relationship formal. In the darkness of her room at night, she longs for the strong arms of her man around her. The music video for singer Carla Bruni’s song L’Amoureuse has a playfull ambiance. Perhaps like lovers are in their period of joyfulness. The music video is, what we call, 2.5D animation. Pictures are made spacial in post production. The many pictures of clouds in the video gives a sense of freedom. The drawing animation that arises within the pictures makes it playfull. I think the video has achieved an appropriate sunday morning feeling, when it is still a surprise what the day will bring. With only a few weeks until the release of her new album Dutch singer Caro Emerald has already revealed a peak by introducing the single ‘Tangled Up’, accompanied by a music video. In retrospective the video refers to a period of economic prosperity in the bigger cities of Europe and Amerika in the 1920s. The team at Videodrome have mixed live action footage with animation to create a stylized world referring to the passionate Tango dance and the roaring 1920s. They have also been inspired by the Film Noir Cinema of the 1940s in Amerika. 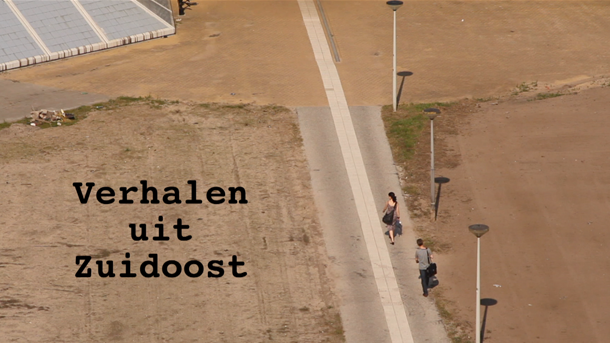 We made a music video for Dutch singer Karsu Dönmez inspired by this period. Watch the music video *Mistress* under this link. The economic prosperity of the 1920’s in Europe and Amerika is a big contrast with the situation today. Nevertheless today’s technological developments mean endless opportunities, like the 1920s! For the creatives of this world it means we can find exciting new ways of expression.